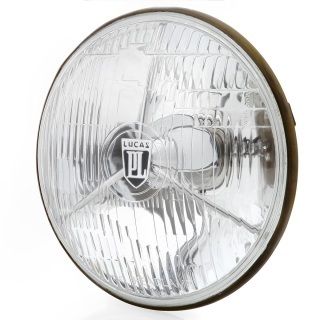 The front turn signal/park lamp on the early Austin Healeys and Triumphs used a flatter lens with recessed bulb, when compared to the more common "beehive" style found many later British sports cars. 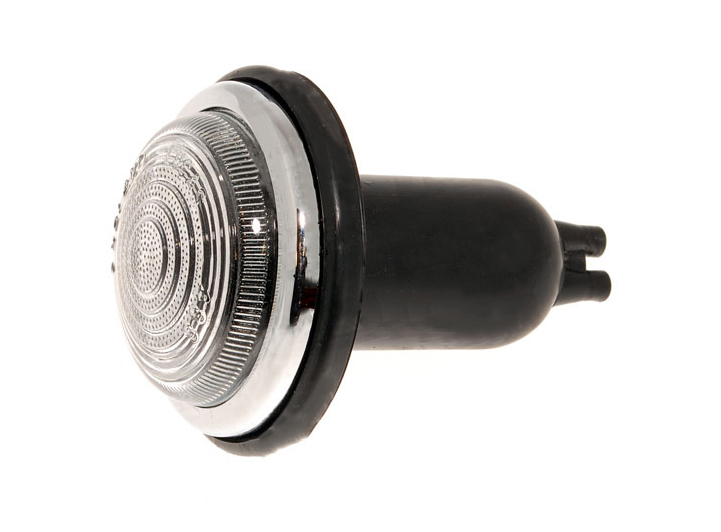 This lamp uses a dual element bulb holder for the turn signal and parking lamp This allows the assembly to function as a running and parking light in addition to the turn signal. 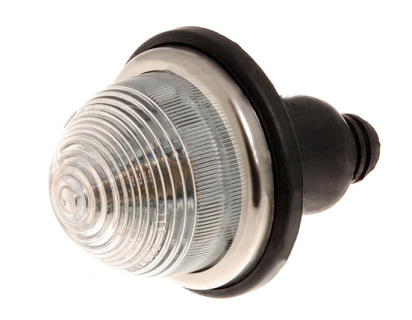 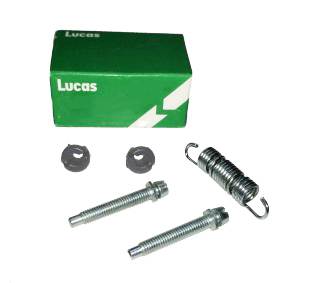 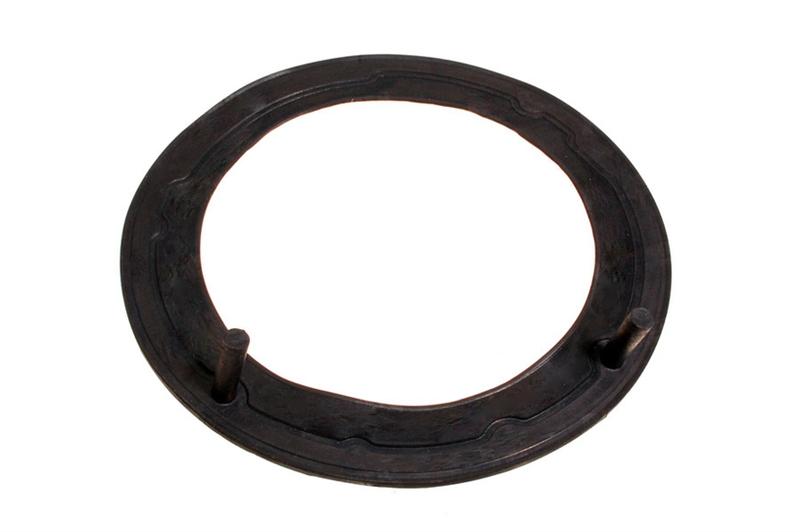 This complete assembly includes the bulb holder, amber glass lens, bulb, rubber boot and chrome ring.